Get insider tips and advice to help you ace your wedding dress shopping adventure! Every bride-to-be dreams of finding her perfect wedding dress—whether it be from the moment she gets engaged or well before the proposal. Because this isn’t just any ol’ dress—this is the gown she’ll wear on one of the biggest days of her life, when she says “I do” to spending forever with her soulmate. So for that walk down the aisle, she’ll need to find a one-of-a-kind wedding dress that makes her look and feel her most beautiful self. While the hunt for your perfect wedding dress is definitely one of the most exciting parts of wedding planning—secret Pinterest boards full of trendy gowns, bridal shop visits with your BFFs, trying on a wedding dress for the very first time—it’s also an incredibly crucial one. To help lead you to the gown of your dreams, we’re breaking down the entire dress shopping process step-by-step. 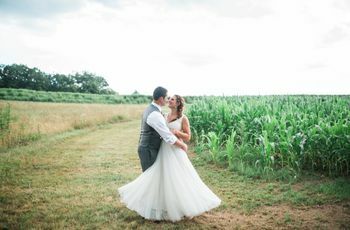 From creating a wedding dress budget to finding the right style for your body type, from bridal salon etiquette to alterations and fittings, consider this your ultimate guide to wedding dress shopping. So cheers to finding that magical gown that will take not only your spouse’s breath away, but everyone else’s too. Let this Dress Shopping Guide help you say “I do” to the perfect gown. 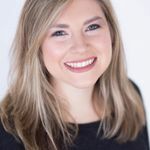 Your wedding dress will likely be the biggest clothing-related purchase you’ll ever make, so it’s best to start your search with the basics of dress shopping.Before you set foot in a store, you’ll want to be up to speed on all things bridal attire—from dress budgets to the gown silhouettes to salon research and etiquette. Here, you’ll find a dress shopping primer that breaks down legit everything you HAVE to know before trying on a single wedding dress. It’s true, not every dress is going to be the perfect fit—and that’s okay! What’s most important is finding a gown that flatters your body type the best. Your gown should hug you in all the right places, and make you feel confident and comfortable dancing your wedding night away. Whether you’re hoping to show off your curves or draw attention to your neckline, finding the perfect wedding dress for your figure is totally possible. So we teamed up with Casablanca Bridal to show you exactly how to find your fit. When you’re on the hunt for your wedding dress, you need to make sure you’re shopping at the right bridal shop for you. The salons you choose should not only carry the styles and designers you want to try, but also work to make you feel relaxed and secure trying on wedding dresses in front of your loved ones. So to help you have the best possible gown shopping experience, we’ve pulled together our go-to rules for finding the right dress store for you. You’ve done your homework and learned the basics of wedding dress shopping. Now, it’s time to hit up a salon and try on a wedding dress (Woo hoo!). But before you go, make sure you’ve brushed up on your gown shopping etiquette. For example, did you know an appointment is required at almost all bridal salons? Or that some dress stores only allow a certain amount of guests to accompany a bride? These golden rules will ensure your dress shopping experience runs smoothly and drama-free. Falling in love with a gown that’s out of your price range can feel like a bride’s worst nightmare—you try on the dress, it gives you all the feels and then your stomach drops at the sight of that price tag (insert crying emoji here). Turns out, there are several bridal budgeting hacks you can follow to help avoid sticker shock at a bridal salon AND find a gown that won’t break the bank. Visiting trunk shows or limiting customizations are just a few ways to cut costs. Here’s how to be smart with your wedding dress budget. After you’ve found a wedding dress, there are some telltale signs that it’s the perfect pick. But these can be easy to overlook, what with all the emotion and fanfare involved in the shopping process. 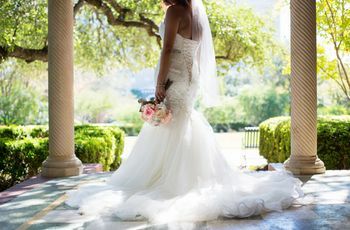 Whether you love a wedding dress that your mom hates, or have fallen head over heels for a gown that’s way over-budget, it’s easy to get confused on the road to finding “The One.” So, put that wedding dress to the test, and see if it’s the right gown for your walk down the aisle. Read More: Is Your Wedding Dress “The One”? So you’ve found THE dress—yay! But slow that bridal roll, you’re not done just yet. Now’s the time for alterations and fittings. 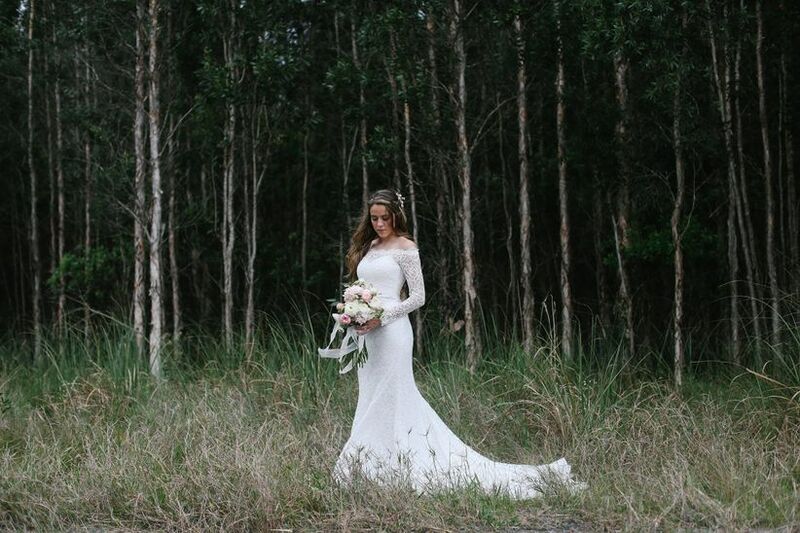 Your wedding dress, while beautiful, isn’t going to fit perfectly right away, or perhaps you want to add lace sleeves or alter the neckline a bit. Regardless of your tailoring needs (minor or major), it’s a good idea to know what the alterations and fitting process entails before meeting with your seamstress.